German carmaker giant Volkswagen has inked a partnership with US rival Ford that will focus on developing electric and autonomous vehicles, the CEOs of the two companies announced on Tuesday (15 January). In a wide-ranging tie-up, the two carmakers will work together on commercial vans and medium-sized pickups for the global market as early as 2022, in order to tap into a rapidly growing electric vehicle market. 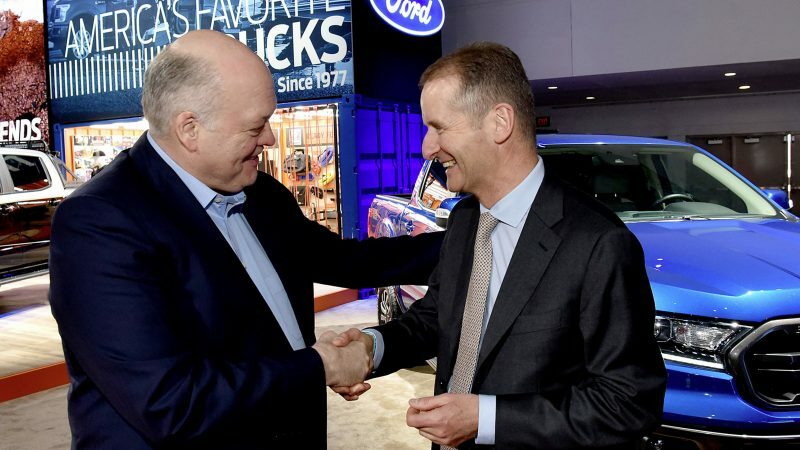 VW’s Herbert Diess and Ford’s Jim Hackett confirmed that a memorandum of understanding on investigating “collaboration on autonomous vehicles, mobility services and electric vehicles” has now been signed and will be officially unveiled at the Detroit Motor Show this week. Diess said that “we love to work together with the Ford guys” and explained that the German brand would be able to access its competitor’s pickup truck platform. Both CEOs were keen to stress that the alliance does not entail any cross-ownership between the two companies. Instead, it is meant to allow the two car giants to “better compete, innovate and serve customers”. Volkswagen is still tainted by the spectre of the emissions testing scandal, known as Dieselgate, as the manufacturer was found to have installed so-called defeat devices in its cars, with up to 11 million vehicles affected. Its efforts in the electro-mobility sector are seen as an attempt to clean up its image, although it has been accused, along with other European carmakers, of taking its business out of Europe. 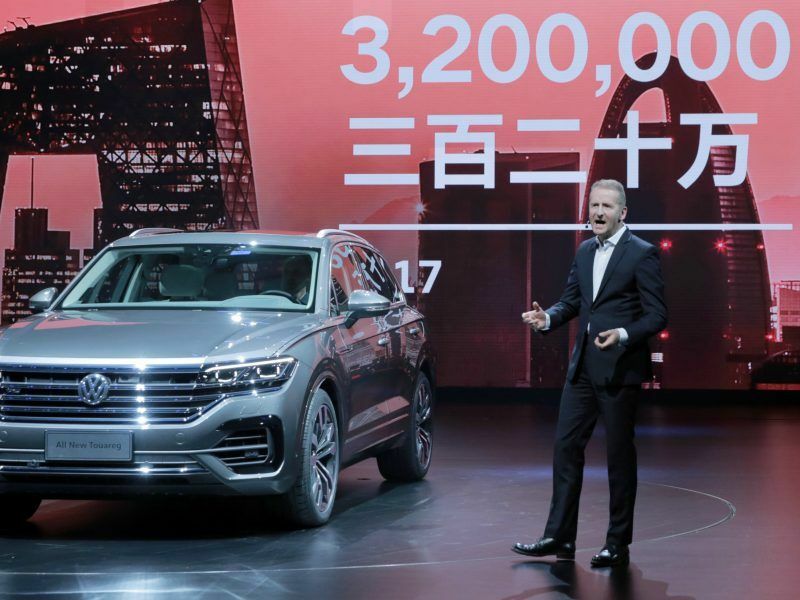 Last April, VW announced investments of €15 billion in electric and autonomous cars in China by 2022. However, Europe’s largest manufacturers at the same time resisted EU efforts to regulate the sector, citing a lack of demand in the domestic market. Car giant Volkswagen announced Tuesday (24 April) investments of €15 billion in electric and autonomous vehicles in China by 2022. In Europe, meanwhile, carmakers are resisting plans for a mass-scale roll-out of electric vehicles. In late December, EU negotiators finally managed to broker a deal on CO2 limits for cars, which include sales targets for electric vehicles. By 2025, 15% of sales will have to be zero or low-emission vehicles (ZLEV). That target will increase to 35% by 2030. European Parliament lawmakers originally wanted to introduce a penalty system for carmakers that miss those targets but that idea was not adopted in the final agreement. 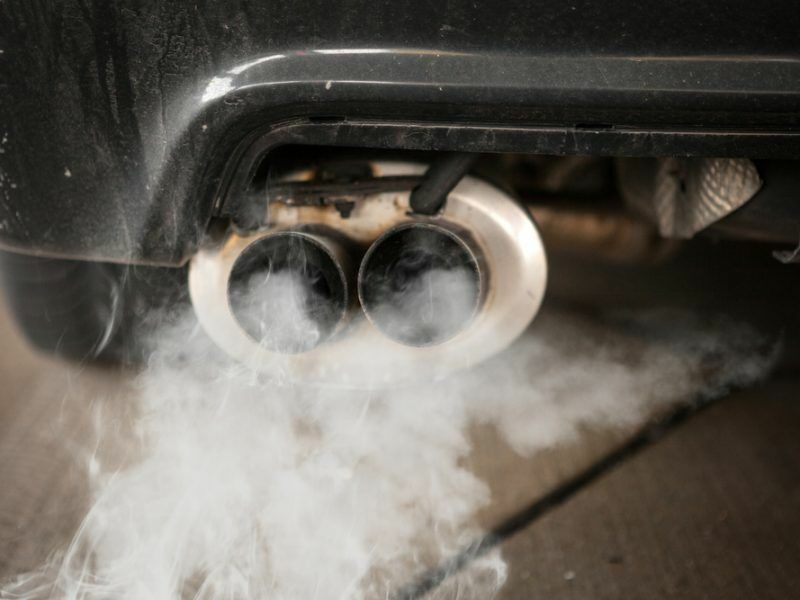 EU negotiators on Monday evening (17 December) agreed on CO2 emission rules for cars and vans, as the Austrian presidency of the EU defied expectations and brokered a compromise. 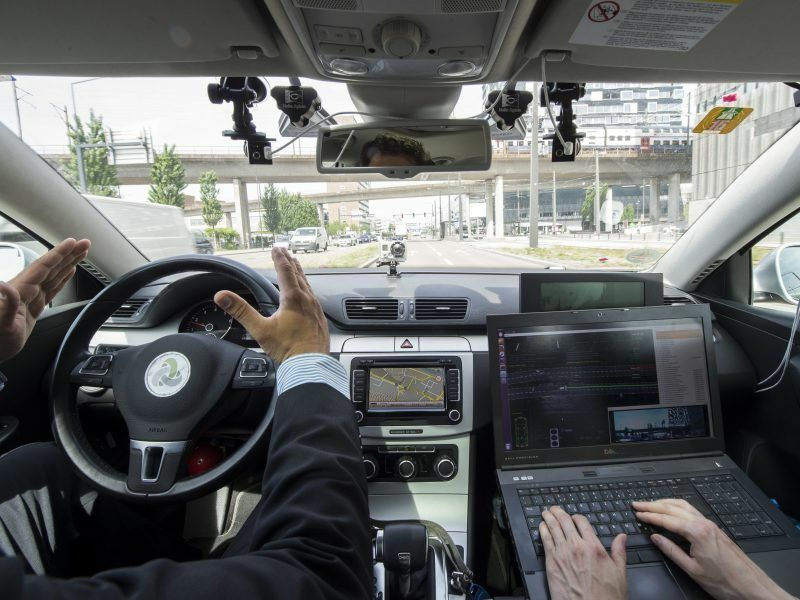 This week in Strasbourg, the Parliament’s plenary session adopted a resolution on autonomous vehicles by a large margin of 585 votes in favour and only 85 against. As a result, MEPs are calling on the EU to act faster to keep up with developments in the sector and for more funding to be allocated to research and safety measures. The text also added that standards for other forms of transport, such as aircraft and inland shipping, should be developed and that an EU joint undertaking along the lines of Shift2Rail or CleanSky should be considered in order to create an “industry-driven” initiative. The EU should take steps to accelerate the process of putting self-driving vehicles onto Europe’s roads to avoid being left behind China and the US, MEPs in the European Parliament’s transport committee said during a debate on Wednesday (29 August). An interesting article in ‘The Drive’ features an interview with Professor Katsuhiko Hirose who is in charge of Toyota’s Fuel Cell system development. The article lays out the argument for fuel cells quite well; and as explained, it becomes obvious that fuel cell cars are going to be cheaper than hydrids or battery-electric cars within 5-10 years. So; battery electric cars are still dependent on subsidies, and require scarce natural resources. Importantly however, the ‘efficiency’ argument is questioned: by the fact that to generate electricity, we usually use natural gas. Gas turbines are only 50-60% efficient, meaning that in effect, so are battery electric cars. Hydrogen electrolysis is a very effective demand response; and therefore balances the grid – meaning that more renewables can be used. So rather than incur this 40-50% loss via the use of gas, electrolysers even out the troughs and peaks of intermittent renewables. If the hydrogen is made via CCS then hydrogen has a better efficiency than electricity produced from natural gas turbines also. There are a lot of problems with battery production, notably the cost of raw materials. Elsewhere, South Korea’s finance minister said that the government will increase the number of hydrogen fuel cell vehicles to about 80,000 units by 2022 as part of a broader effort to give a boost to the hydrogen economy, both in Korea and abroad. Its been estimated from various sources that at 100,000 units per year, the price of fuel cells drops below battery electric or conventional vehicles. There are no material constraints. Therefore we are much closer than many think to having low cost fuel cell vehicles. But one stumbling block exists; and that is hydrogen refueling stations. As ACEA (European Automobile Manufacturers’ Association) have pointed out, reaching the ambitious CO2 standards proposed by the EU will only be possible with a rapid and massive market uptake of zero- and low-emission trucks, yet there is no clear EU action plan for the future roll-out of charging points for electric trucks. Indeed there is no clear plan for battery-electric or fuel cell passenger vehicle charging and refueling either. At least 1,000 hydrogen refueling stations are required for trucks by 2030. So serious consideration must be made for refueling. It is unwise to imagine that private actors will implement a comprehensive hydrogen refueling infrastructure throughout Europe, with no help. Many risks exist within the early stages of infrastructure development where trucks may not exist to provide the return on investment necessary, and many stations are needed in order for them to be used effectively. It is in this way that a Europe-wide plan to implement a refueling network, with government funding, is necessary so that there is less risk to whatever commercial interests might want to get involved. The easiest way to achieve widespread implementation of hydrogen refueling (specifically – there is more risk from a commercial perspective with hydrogen) – is via public-private partnerships. But the idea of technology-neutrality I think in this regard needs to be dropped. We need hydrogen refueling. And having some kind of quota or plan, going forward, throughout Europe would seem like one way to ensure that adequate refueling can be implemented – so that it is worth building the cars and lorries required of the decarbonisation targets.